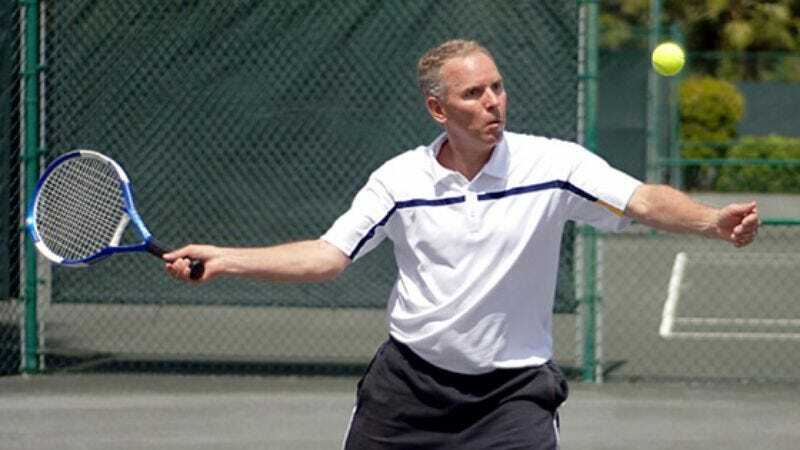 WEST PALM BEACH, FL—During a practice match at the Riviera Golf and Tennis Club with his wife, Gail, Tuesday, 54-year-old Steve Cohen, the world's official 467,357th-ranked tennis player, attempted to teach himself how to serve overhand. "I can do backhands and forehands sometimes, but when it comes to serving, I just get more rallies going if I bounce it and hit it instead of trying to be fancy," said the professional tennis player, who has acquired .000000003 ATP points so far this year. "But I have to learn at some point. It's probably the only way I'll have any chance this weekend against [462,724th-ranked] Roy [Detmer]." Both Detmer and Cohen are slated to represent the United States in the Davis Cup this July.